Roni Seikaly became a victim of burglary during his vacations in Mykonos, Greece. The famous ex-player of the Miami Heat, Orlando Magic, Golden State Warriors and the New Jersey Nets (back in the day) saw his house robbed by a gang of professional thieves who have been on a burglary spree recently in the popular destination. 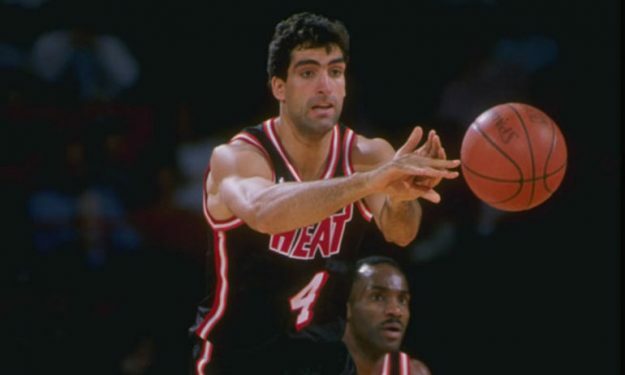 Rony Seikaly became a victim of burglary during his vacations in Mykonos, Greece. The house of the famous ex-player of the Miami Heat, Orlando Magic, Golden State Warriors, New Jersey Nets (back in the day) and Barcelona was robbed by a gang of professional thieves who have been on a burglary spree recently in the popular island destination. According to newspaper “Proto Thema”, the burglars broke in Seikaly’s villa when he and his friends who hosts were absent. Their loot included cash, jewelry and watches of a 620.000 euros total value. The 50-year old ex-player has been spending many of his summer vacations in Greece, the country he grew up with and spend his youth before moving to the USA to join the Syracuse college at age 19.